Soak in all Denver has to offer Rare Find! 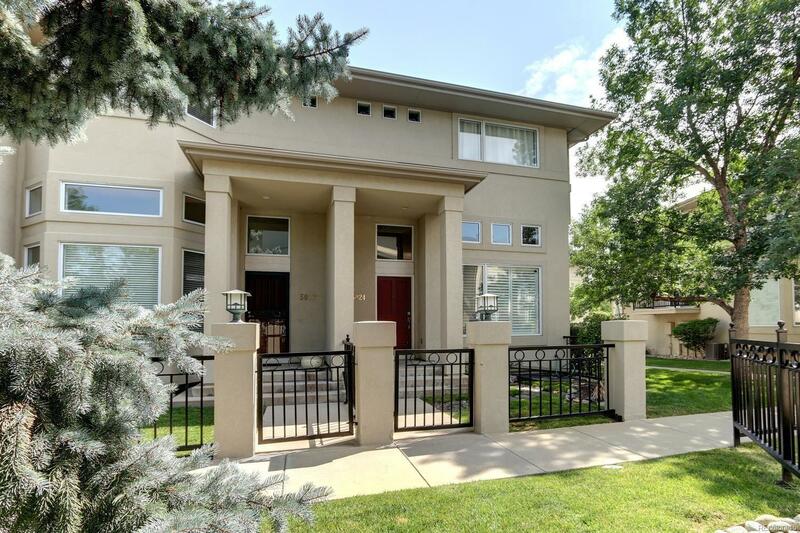 Exceptional value in Cherry Creek! Over 2300 square feet! Spectacular bright and open end unit in desirable Cherry Creek Left Bank with 3 private spacious en-suites and luxurious upgrades centrally located near shopping, dining and trails! Rich cherry hardwood floors, plantation shutters, exquisite granite, high ceilings, ample art niches and built-in speakers are just a few of the highlights! Youâll love entertaining in your gourmet, designer, stainless steel and granite kitchen with spacious dining area, gas cooktop, all newer appliances, balcony and peninsula with seating! Fabulous Master En-suite features a large walk-in closet, built-ins and a luxurious master bath with a jetted tub for relaxing at the end of the day. Convenient 2 car attached garage, finished basement, fenced courtyard and all within an easy commute to downtown and DTC. Fabulous find! CHERRY CREEK SCHOOLS including CHERRY CREEK HIGH SCHOOL! Call Now!